The Center for Medication Use, Policy, and Economics at the University of Michigan held an all-day Pharmaceutical Policy Summit on Wednesday at the Fairmont Hotel. Researchers from around the country presented their findings on patterns in prescription drug use and consumer preferences. Some of their findings may be useful in designing a Medicare prescription drug benefit. Andrea Biddle of the University of North Carolina discussed the role consumer preferences play in health plan design. Biddle studied participants in a game called Choosing Healthplans All Together (CHAT), which allows individuals to make health insurance choices based on what they perceive as important. Players select their health insurance package from among 15 benefit categories, each with high, medium, and low levels of coverage. Players are constrained by limited resources, forcing them to make tough decisions. Biddle found uninsured players wanted basic coverage for all services, including dental and vision coverage. The packages they selected did not look like current standard packages available on the market. Medicare beneficiaries who played the game wanted generous coverage for prescription drugs, hospitalization, primary care, and long-term care. Shane Desselle of Duquesne University looked at consumer preferences in prescription drug plans. He found that in general, people have a high level of satisfaction with their pharmacy benefits. Their most important priorities are having a choice of health plans, having a choice of pharmacies, and the location of the pharmacy. “People are very happy with their coverage until they have to change pharmacies or drugs,” said Desselle. Becky Briesacher of the University of Maryland reported on unfilled prescriptions in the Medicare population. Using the 1996-1998 Medicare Current Beneficiary Survey, Briesacher found 2.7% of beneficiaries have unfilled prescriptions. Of those, 75% had one unfilled prescription during the year, and 25% had two or more unfilled prescriptions. She said the main reasons for not filling a prescription were cost (55%), not perceiving a medical need (25%), and avoiding medications altogether (20%). Being female, more highly educated, younger, and sicker all increased the chances of having an unfilled prescription. Peter Cunningham of the Center for Studying Health System Change studied the relationship between cost containment mechanisms and unfilled prescriptions in the Medicaid program. He found that Medicaid beneficiaries have almost as many access problems to prescription drugs as the uninsured. Twenty-six percent of Medicaid beneficiaries had an unmet need for prescription drugs, while 29% of the uninsured had an unmet need. Cunningham used data from the 2000-2001 CTS Household Survey. He attributed the unmet needs in the Medicaid program to state cost-containment policies including copayments, dispensing limits, prior authorization, generic substitution, and step-therapy protocols. Of these, step-therapy and preauthorization increased the probability of not getting a needed prescription the most. The number of cost-containment policies per state was proportional to the probability of not getting a needed prescription. Some questioned Cunningham’s method of comparing non-cost related policies such as prior authorization and step-therapy to the survey questions, which only probed respondent’s behavior based on prescription drug costs. 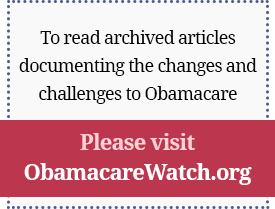 Previous Article: Cover the Uninsured, for Less Than Half the Price! Next Article: Mandates or Incentives?